Have you created augmented reality or RFID solutions at your event? Let BlueWater Technologies show you how these types of interactive elements can create a buzz so loud that everyone will need to wear ear plugs! Our creative team presents out-of-the-box and innovative technologies that haven't hit the streets yet to ensure our clients get the WOW factor they want. Some of our recent projects created enough of a stir to win industry awards. 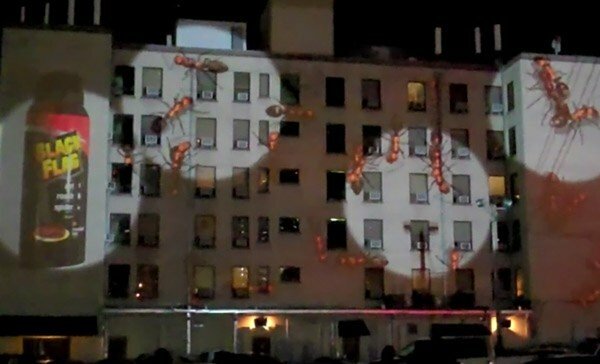 Our mobile building projection for the Meijer He Rides campaign, in downtown Chicago, won the 2010 Staged Events award for most innovative use of AV technology at an outdoor event. At the North American International Auto Show, our creative use of LED won us the 2010 Best Use of AV Technology award at a corporate client tradeshow booth.